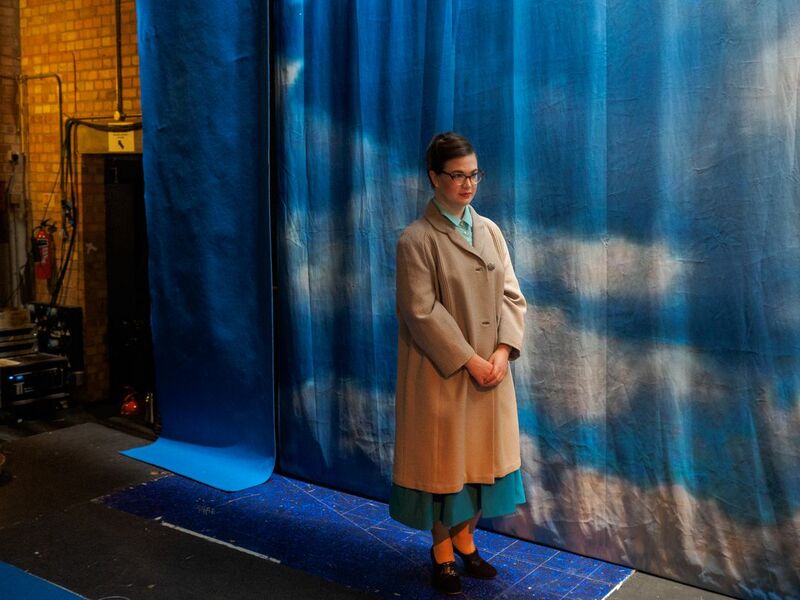 Polly Leech (who plays Florence Pike) backstage, waiting for her cue. Full company, stage and piano rehearsals. Albert Herring. Britten Theatre, Royal College of Music, Prince Consort Road, London.